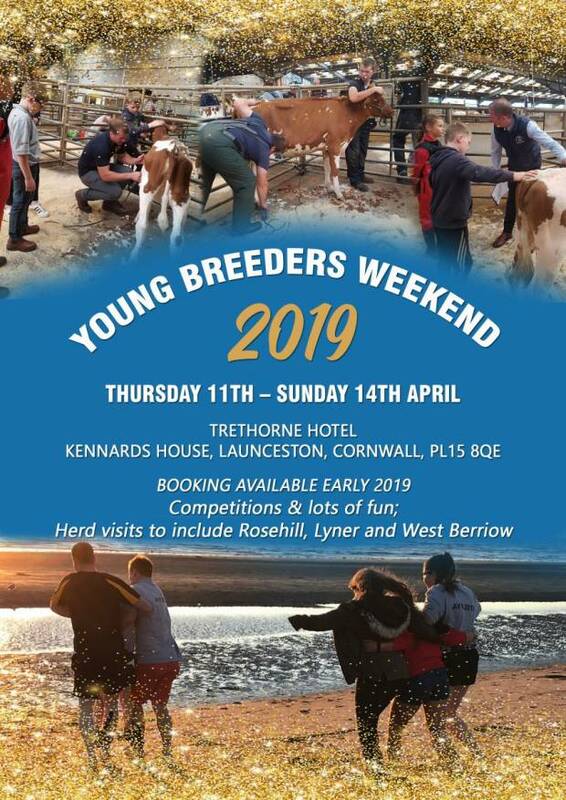 Time to get the 2019 diary out and save the date for the 2019 Young Breeders gathering. It will be held in Cornwall on Thursday 11th April - Sunday 14th April. Herd visits include Lyner, West Berriow and Rosehill Ayrshires. Competitions, fun, see great cows and meet up with new friends. More details in the New year.